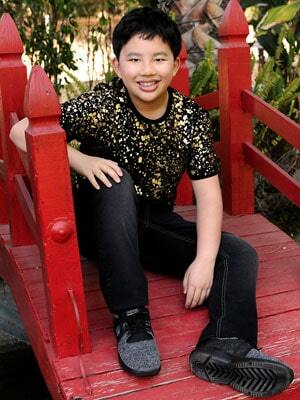 Busy young actor Albert Tsai (Dr. Ken), who’s starring in The Disney Channel’s Coop & Cami Ask the World, took some time to chat about his audition for the show, memorizing lines and his advice to other young actors! Can you tell me about the show? Who do you play? Albert Tsai: Coop & Cami Ask the World is about a brother-sister duo that have a “Would You Wrather” livestream channel where they make their decisions by crowdsourcing opinions from their fans. I play Fred, Cooper’s best friend. He hangs out with Coop & Cami a lot and helps with their livestream channel. What was your audition like for the show? Albert Tsai: I did one audition for the role of Fred. Disney Channel’s auditioning process was different from those of my previous shows. It was a quite special and exciting experience for me, since I had watched Disney Channel when I was very little. Is it fun to be on a show that is geared more towards kids? Albert Tsai: It is fun being on a show that is geared more towards kids, as it has been pretty different from my previous experiences. There are a lot more crazy-stunts and special effects on the show, which makes filming very fun and interesting. What’s your secret to memorizing lines? Albert Tsai: I always like to read the entire script, top to bottom, in order to understand the whole story. Then, I will focus on my lines and read them a few times to memorize them. I’ve loved reading since I was a little kid, so memorizing lines comes pretty easy for me. Albert Tsai: I did a school play when I was in second grade, where I played a funny doctor, that really sparked my interest in acting. I started attending acting classes and eventually began to audition. Then, I auditioned for and booked my first major tv role of Bert on ABC’s family comedy Trophy Wife. What is the advice you’d give to kids who want to be an actor? Albert Tsai: My advice to kids who want to be an actor is to always believe in yourself, do what you love, and never give up. Be persistent and follow your passion.